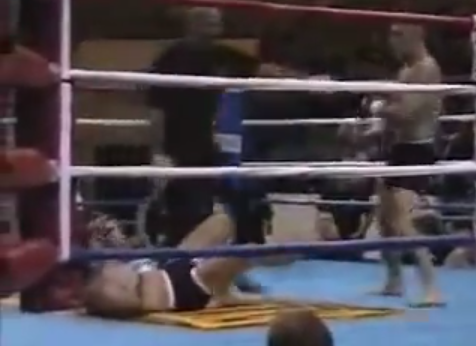 In honor of Frankie Edgar's current run as TUF coach, here's a throwback to his first pro fight. Coming three months after his unsanctioned debut at the Underground Combat League, Edgar - a promising fighter out of the Rhino Fight Team camp - stepped into the ring at Ring of Combat 9 on October 29, 2005, squared off against a submission-savvy Mark Getto, and took care of business. Fun fact: also making their pro debuts on this card were Lyman Good and Uriah Hall. Man, those were good times.